It is located three hours away from the refuge Ishinca and was built on the remains of an abandoned building. And it was especially suitable for acclimatization and as an intermediate field in the ascents of Ishinca, Ranrapalca and Ocshapalca. 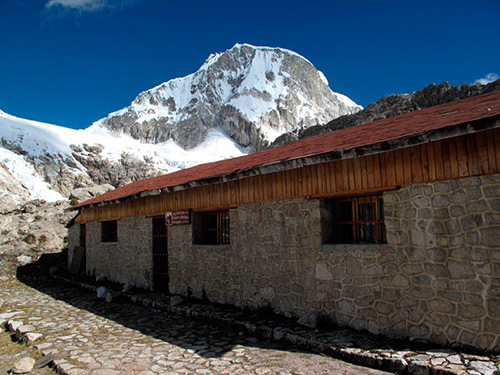 We have radio coverage with operations base in Marcará (Ancash). Open: Not administered the keys are taken from the Ishinca refuge. Capacity: 18 beds in shared rooms with a cabin, a wood-burning fireplace, lagoon water, no restaurant service. Access: Three-hour walk from the Inshinca refuge. Activities: If your goal is not to climb, it is a perfect place to enjoy a few days of solitude.